Perhaps you bought a bottle of Cocchi Americano to make The Vesper, and now you're wondering what else you can do with it? 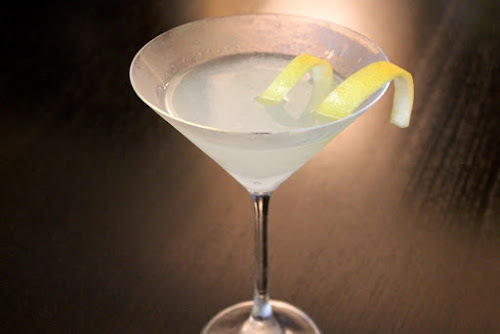 While I think the aperitif is ripe for experimentation, another classic is the Corpse Reviver #2. The Corpse Revivers are a family of "hangover cure" cocktails (says Wikipedia). I wouldn't put much stock in that though, given the amount of booze in this drink. Shake ingredients in a mixer with ice until cold. Strain into a chilled cocktail glass. Garnish with lemon twist.